During the Easter, Zone customer support works with different schedule. 19.04.2019 (Friday) our support answers emails sent to info@zone.ee as on weekends. Phone support is not available. System monitoring and troubleshooting issues takes place 24/7 and the current state of our services can be seen at status.zone.eu. During the period 19 April through 22 April, European payments and cross-border payments will not be made. We advise paying the invoices via direct bank link or by Credit Card in My Zone, because then payments will be received by us within 15 minutes. All the intrabank payment will be received on the first working day and interbank payment on the second working day after holidays. A few days ago, Zone started its 20th year of operation. We are delighted to start this with a record number of customers and users. We are grateful to Estonian companies, individuals, government entities and organizations for trusting us more than any other web-hosting provider. We have worked hard – so our customers always have a modern hardware, high-speed network connections and the most helpful customer service. We are constantly contributing to our services meet the requirements of to the fastest-changing world of the best information security practices and helping our clients reduce the risks associated with their data processing. The only thing remained basically unchanged since last century is the price for our services. Today, however, we have reached the limit, where we cannot compensate for rising input prices (electricity prices, labor costs, etc.) only by improving efficiency and technical innovation. Therefore, like many other companies, we will also adjust the prices of our services at the beginning of next year. Previously issued invoices are subject to current prices even if the service period reaches 2019. If you have chosen a shorter payment period than one year, it is good idea to change and extend it for year: you can use the current discount for a whole year. If you are using e-invoice, please check the limits. Manually set standing orders need to be updated to match the new invoice amount. We will continue our efforts to make our service even more user-friendly, secure and fulfilled with different options. Zone Media increases resources offered in all Virtual Server packages for both new and existing clients and completes move of shared hosting services to fast SSD storage on 17.05.2016. Update of software platform complements that with adding support for faster HTTP/2 protocol – already supported by browsers of 75% of visitors – to packages that support HTTPS. Prices remain unchanged. Most visible change is increase in offered storage space – Package I increases from 50GB to 128GB or 2,56x, Packages II and III have new limits at 256GB and 512GB growing 3,4x and 5,12x. More space is accompanied by rising limits of usage – increasing maximum size of mailbox (now 8-16GB) and database (4-12GB). For clients hosting multiple web applications on same account number of databases increases as well, allowing on Package I and II 16 and 32 and on Package III unlimited databases. While numbers are easy to compare changes in technology should deserve more attention, influencing actual use of the websites. Gentle push that started in 2014 from Chromium is bringing us closer to moment, when “green padlock” that means secure HTTPS connections will be succeeded by marking all HTTP-connections non-secure. Read more: Marking HTTP As Non-Secure and Google Will Soon Shame All Websites That Are Unencrypted. To make transitioning to HTTPS easier we have added support of free and automatically renewed Let’s Encrypt certificates that can be installed with couple of clicks even by non-technical users and support for HTTP/2 protocol that among other features speeds up communication between web server and browser. Possibility to send all resources needed for displaying a web page in single response improves user experience specially on mobile sites. We at Zone are confident, that now is the right moment to log into MyZone account, enjoy the view of increased limist and change your shared hosting package to one that supports HTTPS and HTTP/2. Short instruction showing the moves of package change and enabling HTTPS can be found in the video – and our customer support is happy to help in case you need assistance. * pay for the domain name via a PayPal verified account with the same name. If you do this, your application will be streamlined through the order process. If a domain name is ordered in the name of a company, the administrative contact needs to present a letter of attorney from the company, authorising the operation. It takes time to verify this document. You probably do not want to waste that time. All domain name orders must be signed OR authorised via a transfer from a PayPal verified account belonging to either the domain registrar or administrative contact. It is not possible for a foreigner to sign the application – you must use the PayPal option. On the 1st of January 2016 Zone.ee will lower registration and renewal prices for domains in the Estonian national top level domain. Starting January the 1st 2016, the registration and renewal of domain names ending in .EE will cost 11.04 € instead of the previous 13.14 €. Zone.ee is the largest registrar of .EE top level domain names. Additionally Zone has directly interfaced with national top level domain registries in Latvia, Lithuania and Finland. Zone also provides domain registrations in a number of generic top level domains. Prices include VAT. You can start registering a .EE domain name at https://www.zone.ee/en/service/domain-registration/. The largest Estonian hosting provider Zone.ee and Cumulo Information System Security GmBH (Cumulo) have jointly brought Nimbusec – a website security monitoring service – to the Estonian market. Nimbusec offers website owners information regarding security problems and attacks, helping users avoid incidents and damages. Nimbusec identifies popular malware, backdoors and configuration errors – including out of date content management systems. “During the last few months, we have had hundreds of attacks against Estonian websites come to light. Largely thanks to accompanying defacements. Unfortunately this is only the tip of the iceberg. Most of these incidents go unnoticed for weeks or months. Unfortunately this time period is used by criminals to attack internet users and to steal website owners data,” commented Ardi Jürgens one of the board members of Zone.ee. “Nimbusec helps minimise the period during which the homepage owner and users are vulnerable due to lack of information,” he added. 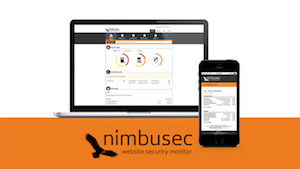 Nimbusec security monitoring is available for all websites hosted at Zone.ee. The prices for service plans start at 1.99€ per website. Zone Media LLC, the largest hosting provider and domain registrar in Estonia was founded in 1999. Co-operation with Cumulo Information System Security GmBH is part of the company’s initiative to bring additional services from international vendors to Zone.ee customers in Estonia. Cumulo Information System Security GmBH is an Austrian-based cloud service headquartered in Linz that monitors webspaces and domains for malware, defacement and blacklisting. On the night of November 12th Zone relocates its servers to another data centre, and as a result, 30-60 minutes disruptions may occur and customers won’t be able to access their virtual servers. Relocation of the servers is associated with the change of roles of the Tallinn data centres and to increase the overall fault-tolerance. Starting this week our office is situated in a new building. We still operate in Ülemiste City, but from now on we welcome our clients at Lõõtsa 5 (5th floor). The office opening hours remain the same and we are opened on business days from 9AM to 5PM. Zone offers special prices for .ONLINE, .BEER and .PHOTO domains until December 2015..ONLINE domain registration for one year will cost now 23.04 €, instead of 47.52 €, .BEER will be 27.36 € instead of 30.80 € and .PHOTO domain 18 € instead of 30.80 €. Special prices only apply for one year registration period and include VAT 20%. Chrome’s last 44th release (version 44.0.2403.89) got a small, but significant change. It’s now sending the HTTPS: 1 header on every request by default. This was probably meant as a security improvement, to suggest HTTPs to the server wherever possible, but it’s breaking WordPress and other web server installations all over the world. Problem should be eliminated on July 27th with new release. Until then we recommend to use other web browsers like Safari, Explorer or Firefox.